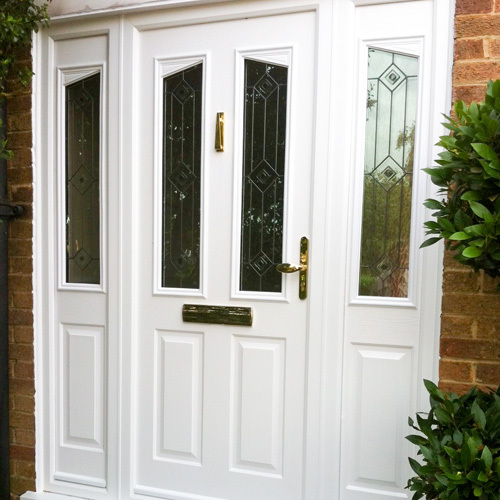 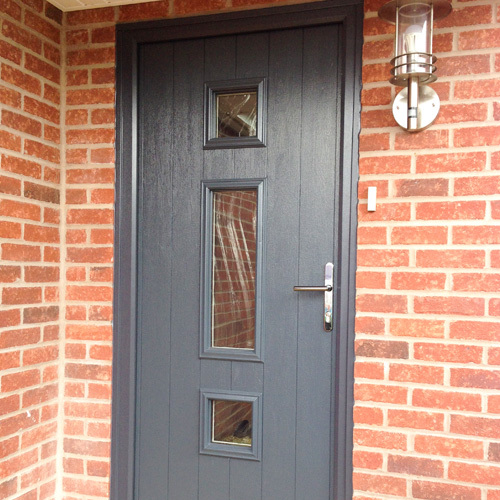 Composite doors are rapidly becoming the preferred choice of exterior doors for many people due to the appearance and feel that is comparable to a timber door. 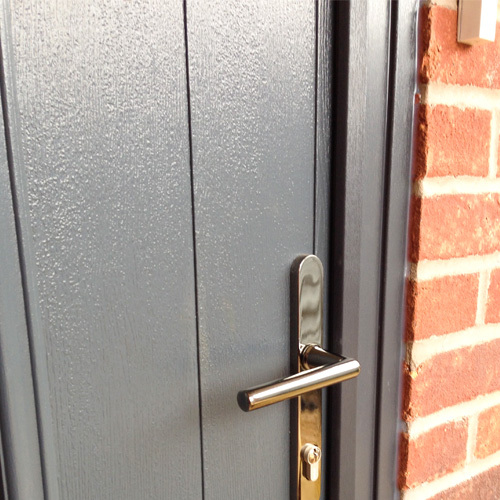 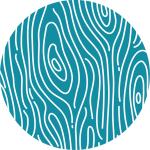 Our composite doors have a solid 48mm timber core, encapsulated within a highly durable plastic edge banding, and 2 thermo plastic door skins that have a timber grain effect. 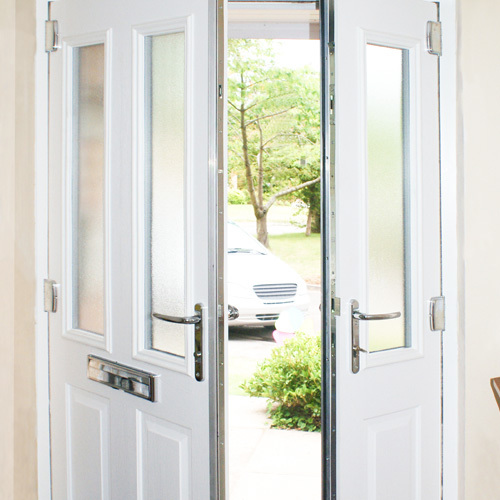 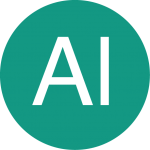 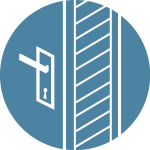 Every home has at least one entrance door; it’s probably the most important feature of the home, one that performs three essential functions of security, weather protection and to be welcoming. 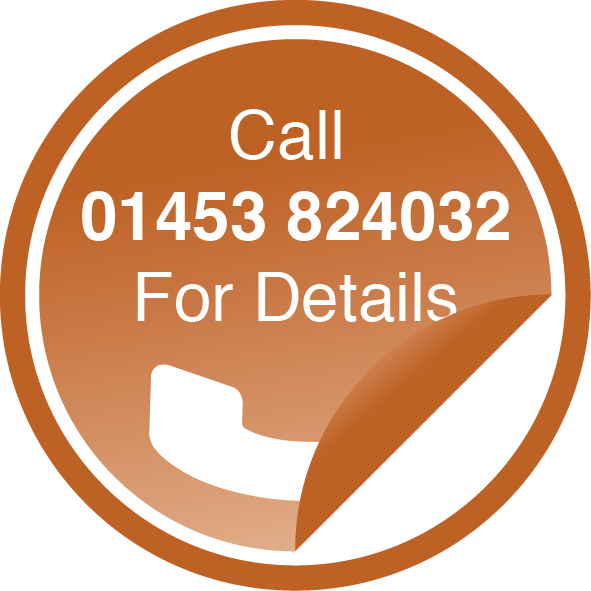 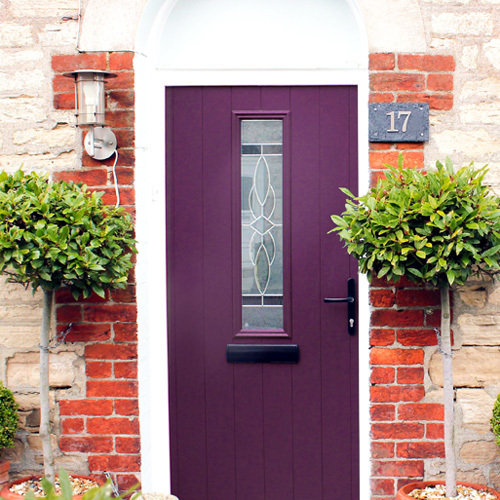 Unlike a lot of composite door suppliers, Stroud Windows supply the best looking and solid composite doors available on the market. 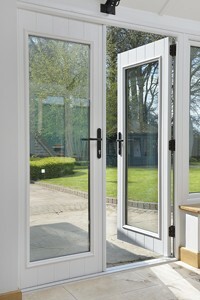 With high security and multi point locks, these doors are extraordinarily secure. 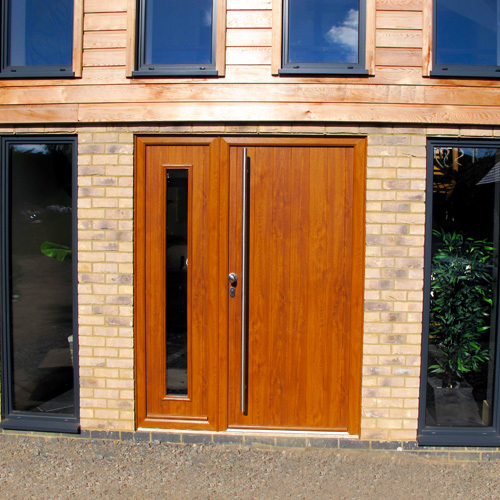 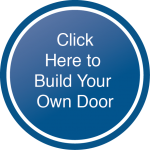 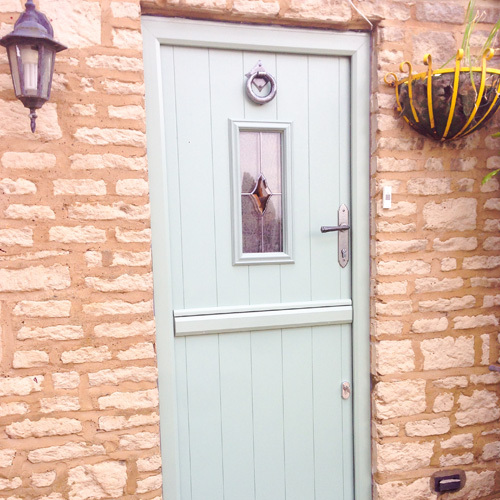 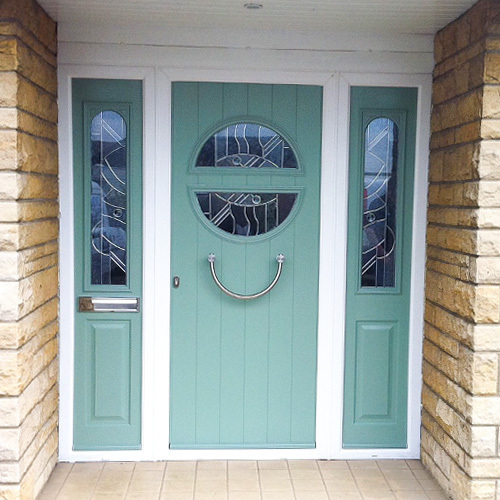 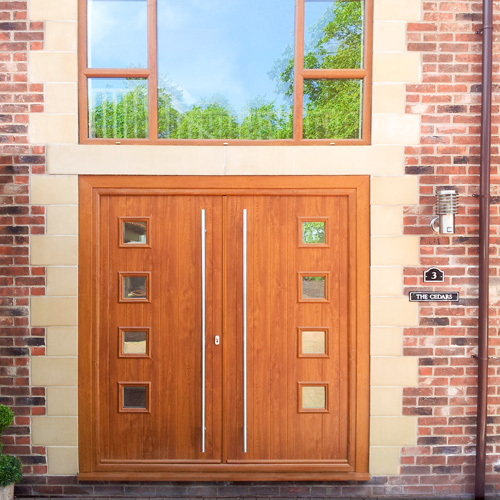 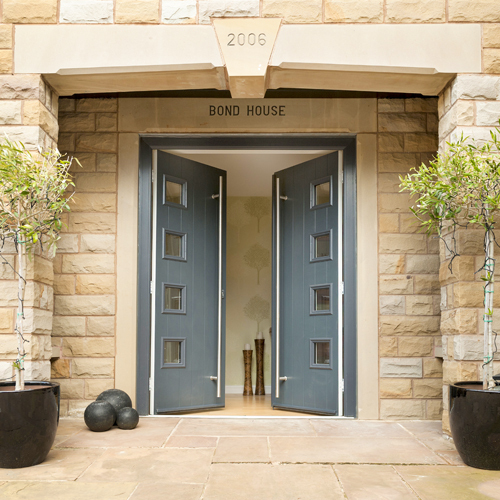 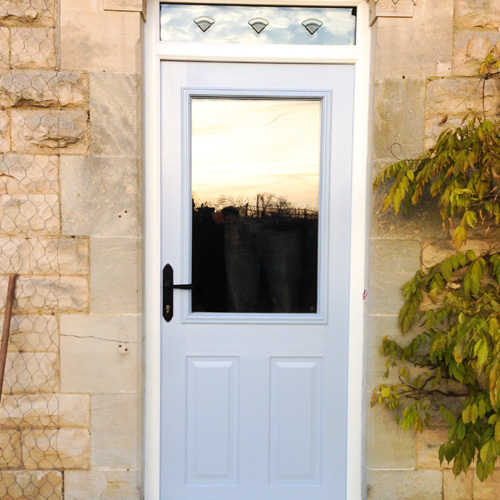 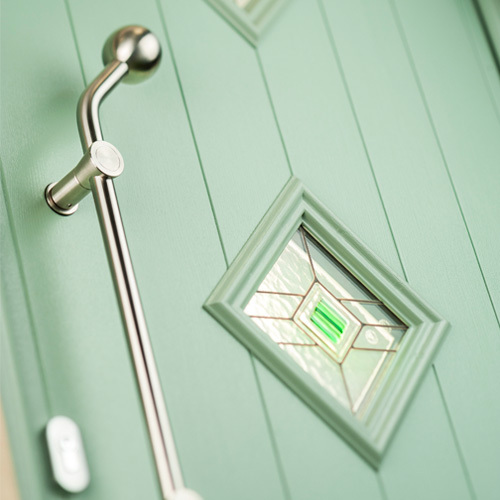 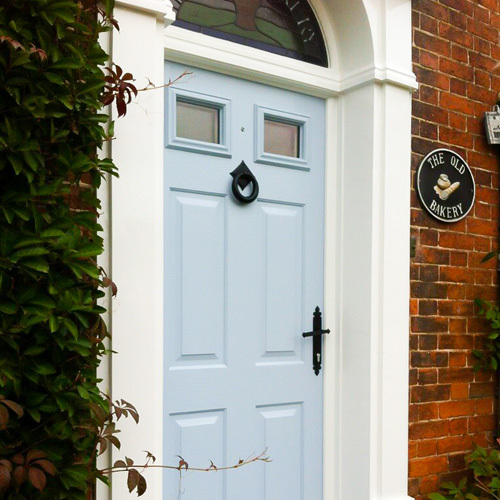 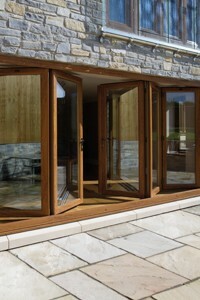 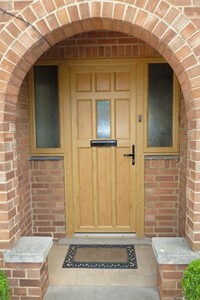 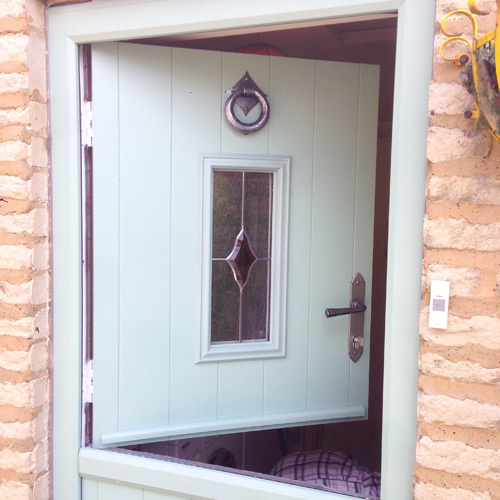 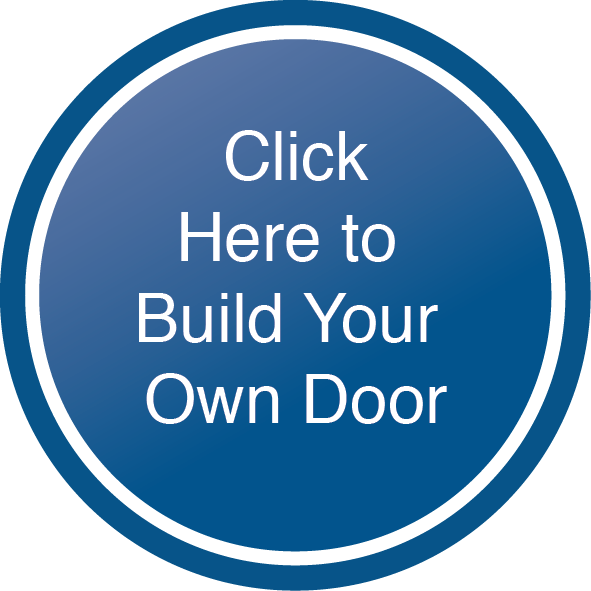 Vast choice of style and colour with traditional, contemporary and stable door options. 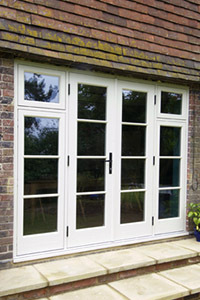 The range includes matching side screens and a choice of glass. 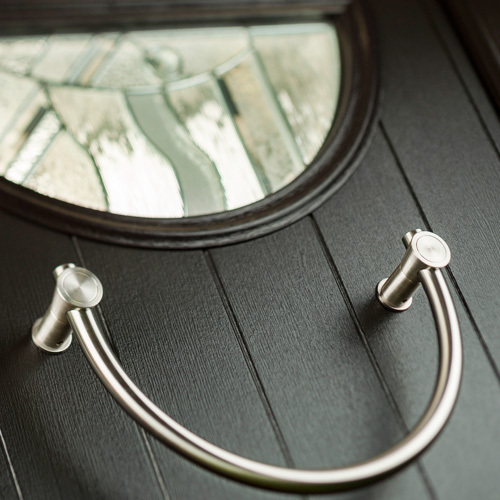 We have the best choice of handles, knockers, numbers, and letter plates in either a traditional or contemporary style.